It feels like the whole Kevyn Aucoin has crept up out of nowhere in the beauty blogging world, despite not being a new brand at all. 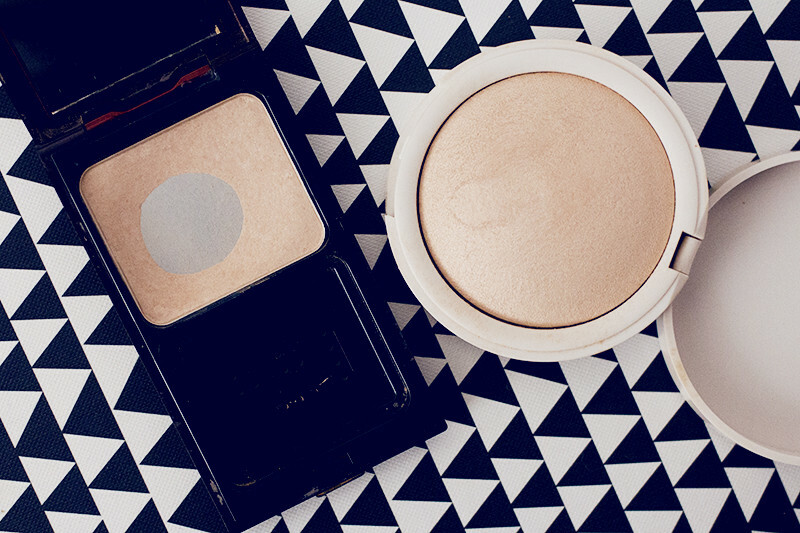 My favourite product at the moment is the Kevyn Aucoin Celestial Powder in Candlelight, I can go a day without applying the lightweight, finely milled illuminating powder to my cheekbones. Silky smooth and brightening this power is the ultimate at faking that glow from within. As you can tell it’s on it’s last legs, I’ve been trying to ration it a bit. While doing a spring clean of my stash, I came across the Topshop Highlighter in Crescent Moon. A peachy soft shimmery highlighter which is velvety smooth, super fine and applies like a dream onto the face. Then I connected the dots and realised it is a very good dupe for the Kevyn Aucoin Celestial Powder in Candlelight. At £10 you can’t fault the price point comparatively to the £35 of the Kevyn Aucoin one. Give it a go if you can find it!